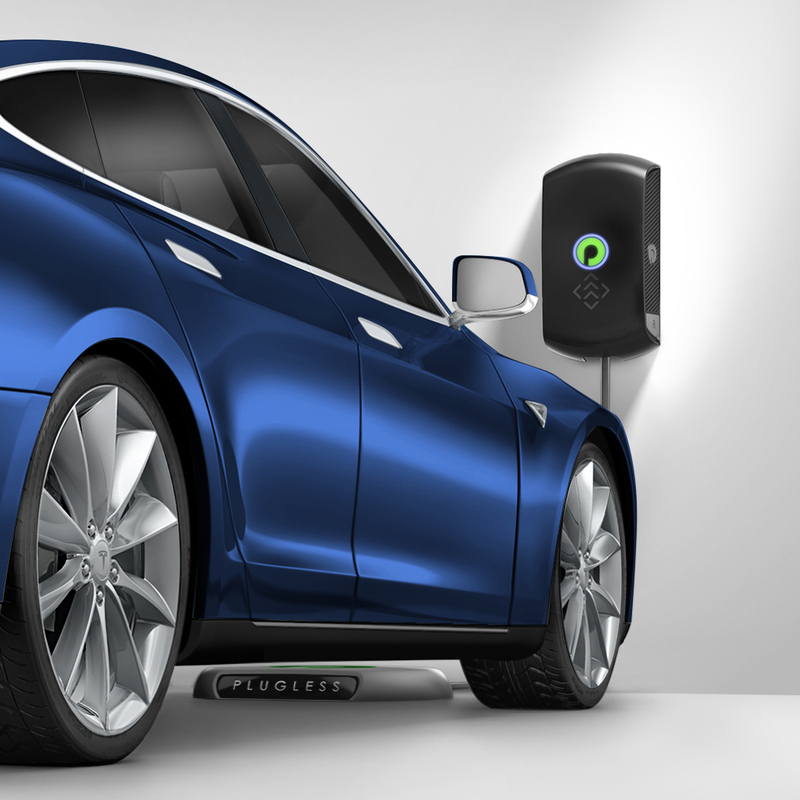 Under the Plugless brand name Evatran sells its wireless charging system. The company currently offers products that work with a range of different models, including the Tesla Model S, Nissan LEAF, and Chevy Volt. Inductive charging, in which a magnetic field is created by running electricity through a coil, is the system Evatran wireless uses. One coil is mounted to the vehicle’s underside and the other is placed on the ground. The coil that sits on the ground must be connected to a power source. It can be hardwired or plug in (NEMA 6-30 or 14-50). Plugless will initially be available in two specifications: a 7.2-kilowatt version and a 3.3-kW version. The company say Plugless will be available on 80% of the Evs in North America by the end of 2017. I’d like to know the exact cost of the entire installation, assuming it’s a plug&play device that I can do myself, but what about the receiver on the car? How much is gonna cost that? Many thanks in advance for your informations. The Plugless Wireless charging station is one of the only options to charge an electric vehicle wirelessly right now. Because of this pricing seems to be everywhere and hard to estimate. Each make and model has a custom price and some components are priced individually. Installation fees also vary wildly from place to place. Sadly, at the moment Plugless does not display any pricing for each car and requires one to talk to an advisor from the website. However, I can say initial price and installation is not cheap; anywhere from $2k to $3k is a decent ballpark estimate. With pricing in mind it’s important to note that this technology is centered around convince. I have no doubt wireless charging will eventually become just as effective as plug in chargers but at the moment it’s just not the case. At the moment the Plugless will have some loss of power depending on a couple of factors such as materials around the device, temperature, alignment, and other small things. The losses will vary, a common amount is around 11-15% but some people have reported up to 30% loss of power. Due to the loss of power it will affect charging time. For some they have experienced slower times, while others reported having faster charging. Plugless has guidelines on their website for optimal charging factors, but sadly it’s still hard to find out the exact rules for maximum charging efficiency. It can rely on a lot of hit or miss situations that are difficult to pin down. The wireless charging definitely has it’s upsides in convenience. Sometimes we get distracted after the day or simply forget to plug in that charger and the Plugless solves that issue. It’s very unlikely one would be stuck at home and unable to get to work or something else important. If your goal is to make life a bit easier and money is not the biggest issue the Plugless system can be right for you. For those looking for power saving and maximizing usage I’d recommend cheaper, more effective chargers. EV charging without having to plug in is 100% the way to go. It’s so easy and quick. I have a Chevy Volt and I’ve never had any issues with my wireless charger. Wireless charging is so cool! So then is this something that all EVs will have in the near future?